Today I made spinach lasagna, except I left out the spinach! Have you ever tried to take apart a lasagna by layers? Well, I used uncooked noodles, so I can tell you it is somewhat possible! My daughter's friends will find out with us tonight how it works to spread the spinach over the ricotta instead of mixing it in! Good Food -- By "good" we can mean healthful, tasty, or quality. You get to decide. I strive for healthful and tasty most of the time, but once in a while we go for just tasty. Quality? I hope so, but my frugal gene gets into action here, so I'm not as picky as some. A Cellphone Basket -- We have never actually had one of these, and I don't police my now grown kids. Sometimes I see some texting going on. (I've even seen my mother text at the table!) But then, I've been guilty of it too. 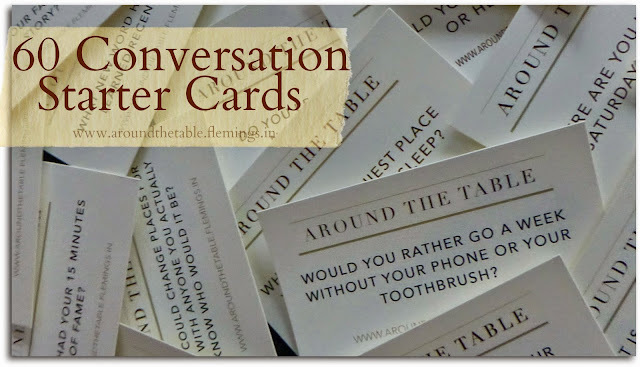 However, there's a difference between someone at the table having a continuing conversation with people who are not present and answering a quick question. 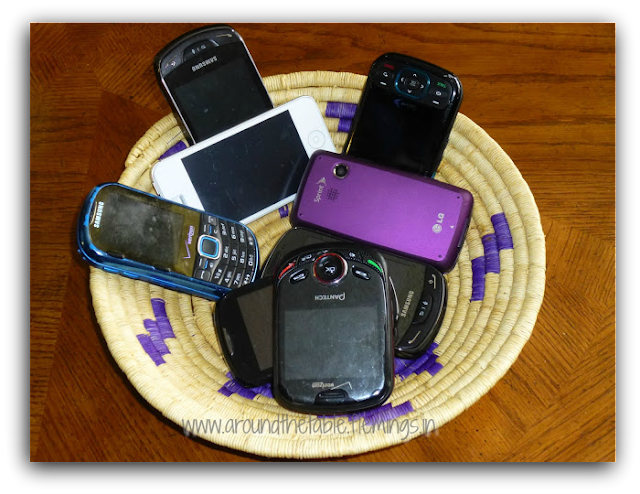 If you have habitual phone checkers, maybe you should have a cellphone basket. You could do a twist on the restaurant game: whoever touches their phone first during the meal does the dishes! Time -- Most of the rest of these things won't happen unless you have time to spend together. I know, there are those days when you have to eat and run, but don't let that become the routine. Plan to have at least half an hour together on a regular basis, and some days when you linger longer at the table. Here are some strategies to get them to stick around. No (Less?) Bickering -- No one enjoys bickering. At least I don't think they do! This isn't something that can always be avoided. Our kids aren't the ones in the Sunday School paper story who always let each other go first, choose the best piece of chicken, or apologize to one another, and some meals were disasters in this way. I think most honest parents would have to say that too. But you can create an atmosphere conducive to bickering or to not bickering. The younger you start, the better, of course, but just allowing each one to (calmly) state their opinion and understanding each other can help everyone see the other side. I remember when my grandchildren were four and two. The four year old didn't want the two year old to open the closet door, which, of course, he wanted to do. I asked her why she didn't want the door opened and she told me, "My baby is sleeping in there." I asked if we could open the door a little bit and show him that the "baby" was sleeping so he would understand. She agreed and when the door was opened he reached in and rescued his favorite stuffed dog we hadn't known was trapped in there. We closed the door and everyone was happy. Listening -- Have you ever asked someone a question and then a few minutes later you realize you don't know what they said to answer it? Mmmhmm. Me too. When we are in a conversation we need to hear what the other person is saying. Whether they are communicating facts, a joke, or their feelings, they deserve to have you listen. That's hard when everyone is talking at once, so that's why learning about conversation is so important. There can be two (or more) separate conversations going on at once, but not more than one talking in a single conversation at a time. A Learning Atmosphere -- Did you learn a new word? Did one of the kids get some exciting knowledge in school today? Do you know when the next full moon is or what a "blue moon" actually is? Talk about it together and be willing to learn. And, this is when we used to run for the World Book encyclopedia to find out a fact, and today, when we are allowed to look up information on our phones or tablets at the table. Helpfulness -- Learning to work is a big part of life. I remember one time when my two grown daughters were at the table with guests and one got up to clear the table and the other served dessert without me saying a word. Yes, I was very proud of them and proud to be their mother. If people are willing to help one another, the atmosphere becomes that much nicer. Traditions -- Traditions can be small like always giving thanks before the meal, making the person who commits some faux pas sing a silly song, giving a special plate to someone who is celebrating something, or holding hands while you pray. This defines your family, sets you apart, and unites you. Your children will always talk about these things when they are older, even if they never say anything about them now. But, if you forget one, they will be sure to remind you! What about you? What do you think is an essential ingredient for a successful family meal? I am so glad you are continuing to bless us through your writing, Sharon! Your post today brought several smiles. The image of Kay texting while at the table was one. Another was the reference to a learning atmosphere. We had the Encyclopedia Britannica and would often refer to it during dinner. There was one time Rick made me get up, too, because the volume he needed was one of the three I was sitting on in order to be high enough to eat at the table. Great memories! And all these things make them want to come back now that they are grown! A cellphone basket? That is a neat idea. Sometimes I think my wife was just born with the phone in her hand. I can never get her off of it. It is the first thing she reaches for when she wakes up. And the last thing she has before she goes to bed. Sorry about that. Hope you can come to a compromise on the phone issue! Wonderful suggestions.Since my children are now all grown & on their own, I have a shelf by the door where we all place our cellphones so as to be able to spend time together. We all love it! And I love the conversation cars with questions. 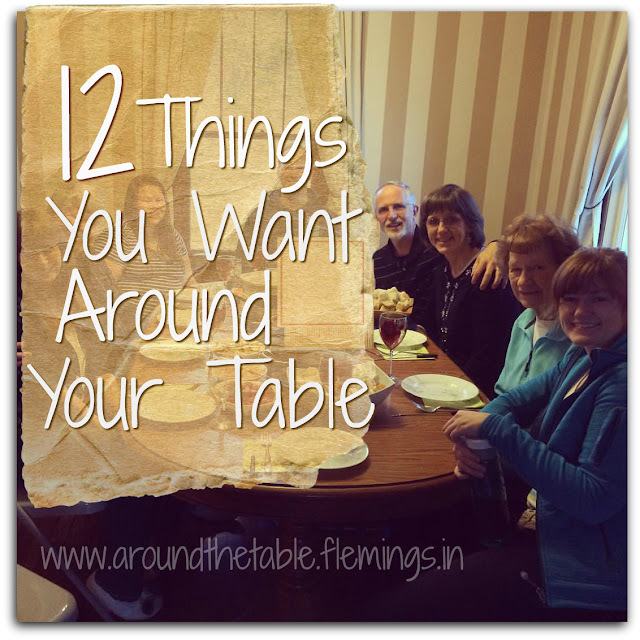 We had once been to a restaurant where in the center of the table was a basket with them. 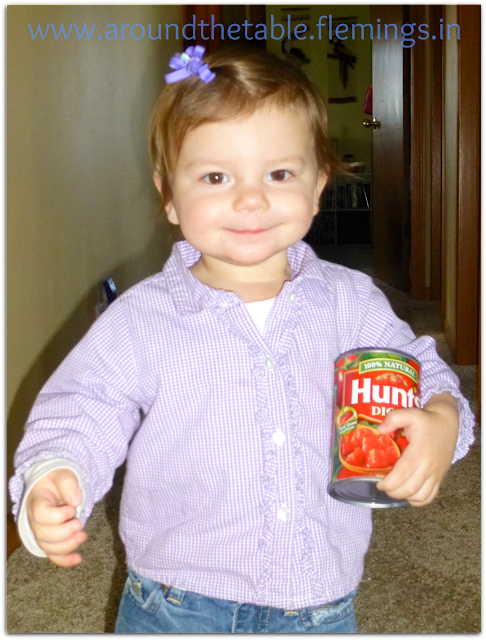 My granddaughter LOVED it :) May we all make the most of dinnertime as these days truly are precious! Blessings! What a great idea! We love having them come home for meals, too. This is a great post! You nailed every thing we need. I love the cell phone basket. How did these people exist before everyone had a cell phone. It is so rude the way people use them. My husband had a meltdown at our family Christmas dinner 3 yrs ago because of the cell phones. He yelled at the kids and grandkids! They laugh about it now but it is just so rude and takes away from your family time. I am going to share your post with my family.